This has truly been a great week musically and what better way to kick off this weeks New Music Friday than with this beauty from Chvrches Never Say Die. I don't completely get why exactly some are calling this a slow tempo song, because it's anything but. It's an absolutely superb song that probably lulls into a false sense of security with the slow build up to the first chorus that I guess could be classified as slow tempo. Chvrches have now released a number of songs from their upcoming album. All of the songs have different styles of music to them, so if we're judging by them, then we're in store for one hell of an album. The musical climax towards the end of Never Say Die feels extremely futuristic and I wouldn't be surprised if this song pops up on a movie trailer at some point in the future. My review of the album is coming VERY soon, but I just couldn't resist the opportunity to talk about this song in depth. It's one of the best songs on the album. It is musically and lyrically sound. Which usually when discussing Hayley Kiyoko isn't news but What I need is a collaboration with Kehlani . Collaborations are always really hard to get right. The two Artists need to gel vocally, you have to make sure the song doesn't sound messy and that one Artist doesn't overpower the other. What I need thankfully doesn't have any of these problems, and if this song gets a music video? I'm never shutting up about it. I feel as though MØ's heard me constantly pleading for her to release a single that ISN'T a collaboration, and Nostalgia is one heck of a bop. The lyrics video to accompany it is extremely fitting, but let's just focus on Nostalgia for a moment. It's the type of bop that will be glued to your party playlist for the next few months at the very least. It's got reggae undertones to it, and the background vocals are quite haunting, as is the song itself in places. Nostalgia is probably the most perfect song title I've come across in a while as it does sum up the song quite neatly. It's looking back on the past, feeling a little sad as it reminisces, but also feeling optimistic for the future. 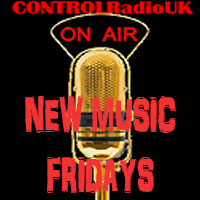 In the not so distant pass we did cover one of Zak Abel's songs in one of our CONTROLRadioUK Picks. Since then he has produced some mighty fine songs that have unfortunately not been to the taste of the rest of CONTROLRadioUK HQ. From the moment I clicked play on Long Song I knew it would be featuring here. It's got a slight sample in the under beats, but this is a pretty good up tempo Pop number. Most importantly of all? It's part of the genre of break-up songs that I really do wish more people would explore. We're not feeling sad and devastated over a break-up here, wishing hopelessly that we could change things. Nope! We've accepted it, moved on from it and are instead looking basically mocking the ex for the fact they probably think this is gonna be a mopey song, and instead it's anything but. Honestly it's songwriting at its absolute best, producing a might refreshing number that completely deserves to take the chart by storm. To finish off this weeks New Music Friday, we have this delightful triple collaboration between Digital Farm Animals, Shaun Frank and the beyond criminally underrated Dragonette called Tokyo Nights. Clicking play on this song I had no idea what exactly to expect. I basically came here for Dragonette and stayed to be completely and utterly wowed. Tokyo Nights is an up tempo Pop/Somewhat Dance song. Its production values are absolutely incredible, and this is a rare song that could probably be propelled to another level with a remix. For now though you can enjoy breaking the replay button on this, and let us know in the comments what you're listening to this Friday.